Sea-ice researcher David Barber argues provincial $25-per-tonne tax a good start but not aggressive enough. Story here. 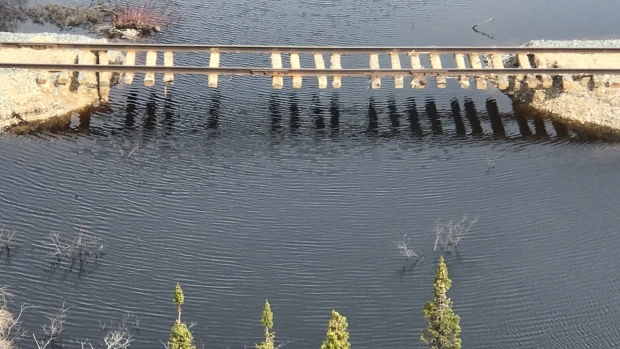 The flooded rail line to Churchill.